The Duke of York is visiting Malaysia between 24–30 June, 2016 with a programme focused on entrepreneurship, education and his role as Grand President, Royal Commonwealth Ex-Services League. His Royal Highness, Grand President, attended the 32nd Royal Commonwealth Ex-Services League Conference Service of Remembrance at the Tugu Negara Cenotaph. The Royal Commonwealth Ex-Services League supports ex-servicemen and women across the Commonwealth. The Duke was received by General, The Lord Richards of Herstmonceux, Deputy Grand President. 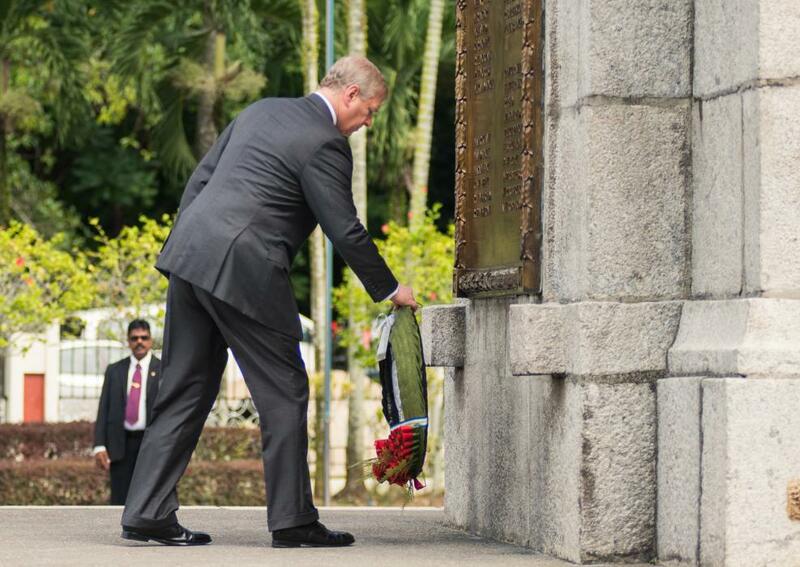 His Royal Highness laid a wreath as part of the Remembrance Service. Later, The Duke attended the opening reception for The Royal Commonwealth Ex-Services League Conference and met with veterans and representatives of the League.